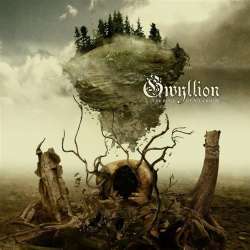 Gwyllion is originally a term for female spirit entities from Welsh mythology, but it’s also the name of a symphonic power metal band from Belgium which was founded in 2003 and recently released their second album The Edge Of All I Know. The cover artwork looks already quite intriguing, and musically the band doesn’t rank behind. Of course there are your typical influences like Nightwish, Within Temptation, After Forever,… but Gwyllion manage anyway to craft dynamic, stirring songs. Vocalist Ann has a powerful voice that most of the time rocks, but sometimes she also ventures into operatic territories. The band puts a lot of emphasis on variety. The tracks contain lots of breaks and switch regularly from faster to melancholic parts, and also find room for occasional gothic and folk elements. Even during mid-tempo moments, they generate enough power to avoid shallow triteness. I prefer the playful Rage and the enormously varied Void, but the rest of the songs can also convince me. The rather dominant keyboards may not be to everyone’s taste, but I am not disturbed by them. Only the final piano ballad couldn’t convince me. Those into solid symphonic metal with the necessary degree of heaviness are absolutely on the spot with The Edge Of All I Know which has not become a killer album, but I get the impression that Gwyllion haven’t used their entire potential yet. Keep an eye on this promising band!